A Lady brought low by scandal, a handsome merchant, a scoundrel bent on destruction, a Valentineâ€™s Day gift. Lady Serafine Parkington struggles to keep herself and her mother alive, after the scandal of her brotherâ€™s gambling and suicide destroyed their family, and left them shunned by the ton. Mr Raphael Morton, member of His Majestyâ€™s Hounds, returned war hero and wealthy merchant, is completely and utterly bored, finding it most difficult to settle back into civilian life. He seeks a business idea to engage his interest, and make life worthwhile again. When an accident of circumstance brings Lady Serafine and Raphael together, an unlikely business partnership is born. 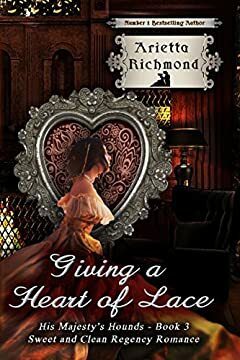 Can they save their business from an unscrupulous scoundrel, who wants their destruction, and find a partnership of the heart, as well as one of business?